Modern Media, Pop-Culture, and it's Impact on Body Image. How Does Dance Sub-Cultures Parallel Characteristics of Anorexia? Is it a surprise to know that the prevalence of eating disorders such as anorexia is increasing in North America? It shouldn't be. Western society in the past several decades has been putting an ever increasing importance on being thin. Eating disorders are multifactorial conditions that are linked to genetic, traumatic and natural causes. At an extremely tender age, women in North America are given the message that in order to be successful and happy in their lives, they must be thin. Everywhere we go we are surrounded by images and ads that portray successful beautiful women to be thin. Thousands of women starve themselves in hopes of attaining the “ideal body figure”. According to statistics, the average model weighs 23% less than the average woman. Most models, according to medical standards fit into the category of being anorexic. Anorexia nervosa affects about 1 in 100 000 people in the population on a large scale. However this rate is believed to be a lot higher specifically in Caucasian teenage girls where it stands at about 1 in 200. Anorexia is the third most common chronic illness among adolescents where 95% of cases are of teenage girls between the ages of 12-25. This page aims to educate viewers on the realities of anorexia nervosa and explore two sub-cultures in western societies that all but support the development of this disorder. Anorexia Nervosa is an eating disorder identified as a “psychiatric syndrome” and classed under mental disorders by the American Psychiatric Association (Alexander-Mott, 1994, p.99). Alexander-Mott, L. (1994). Anorexia Nervosa: Definition, diagnostic criteria, and associated psychological problems. Alexander-Mott, L & Lumsden, D. B (Eds. 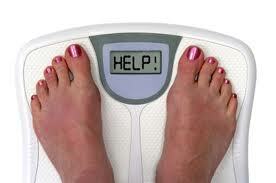 ), In Understanding eating disorders: Anorexia nervosa, bulimia nervosa, and obesity. (p. 99- 122). Philadelphia, PA, US: Taylor & Francis. Alexander Mott goes through the different definitions and characteristics of Anorexia Nervosa since it was first published by Morton in 1694 as nervous atrophy caused due to psychological factors. Then later in 1868 Gull described anorexia as hysteric apepsia which again in 1874 he defined as anorexia nervosa. In 1873, Laseque defined it as hysterical anorexia as he believed it was caused due to mental state and emotional upset. Gull and Laseque pointed out that the condition often occurred in women within the ages 15 – 23 years of age who showed symptoms of emaciation, low food intake, refusal of food, no appetite, constipation, and abnormal mensuration. According to Burch, the material gathered and presented in literature on Anorexia nervosa had both "contradiction and confusion" (Alexander-Mott, 1994). The author talks about psychoanalytical and modern concepts associated with Anorexia Nervosa. The two types of branches: primary and secondary Anorexia Nervosa are analyzed, the primary group of anorexics associated with control to gain thinness while the secondary group referred to as “atypical” anorexics who are more associated with food eating function. The author goes into other details referring to subgroups present within Anorexia Nervosa. Some of them mentioned were “restricters”, “bulimic anorexics”, and “restricting anorexics” (Alexander-Mott, 1994, p. 108-109). In this article, Mehta & Treasure lists three components of causes for Anorexia nervosa which are physical, psychological and social under the categories of predisposing, precipitating and perpetuating factors. Physical or biological predisposing causes include genes, epigenetic effects, obstetric complications, prematurity, feeding difficulty in infancy, Hypothalamic-pituitary-adrenal (HPA) axis deficits; physical precipitating cause include puberty and physical perpetuating causes are GI changes, low 5HT, low dopamine, low brain-derived neurotrophic factor (BDNF), altered HPA axis, low leptin, adiponectin (Mehta & Treasure, 2008, P. 147-151). Psychological predisposing causes mentioned were OCD/ OCPD, anxiety disorders, avoidant coping style, cognitive deficits, negative self- evaluation and low self- esteem; psychological precipitating factors include stress and dieting while perpetuating psychological causes are OCD/ OCPD, cognitive changes, anxiety and depression (Mehta & Treasure, 2008, P. 147-151). The social predisposing causes include isolation, occupation, abuse, overprotective parenting, attachment difficulties; social precipitating causes are life events and cultural values while perpetuating social causes include family dynamics, high expressed emotion or criticism and social isolation (Mehta & Treasure, 2008, P. 147-151). Anorexia nervosa can affect an individual on various levels especially physically and emotionally. Anorexia is a complex vicious eating disorder that can take over your life. If any of the following symptoms are experienced by yourself or a loved one you know, they need to consult a physician as soon as possible. It is unfortunate that many people with anorexia are in denial and do not want treatment. Their personal desires to maintain a certain figure overrides concerns about their health. Author Judy Norisgian of Our Bodies, Ourselves discusses the impacts that modern media outlets such as magazines, television commercials, movies, and other advertisements have on women and their body image. She compares how prior to the mass exposure of media, we were only exposed to people in our communities and had nothing to differentiate with. Now with the many different sources available to us our image of how women should look has become distorted. For example, when we constantly look at women through the media we usually see the airbrushed, cosmetically enhanced types, causing us to develop and adopt the belief that this is how they should all look (Norisgian, 2005). Judy Norisgian suggests that the perpetrators here are the competitive magazine editors whose goal is to play on women’s doubts, or create new ones, in order to make a sale, then give outright suggestions to fix these “problems”. She believes that the consequences of the media objectifying us all, is the start of self-objectification, which can result in self-esteem issues and humiliation. This piece of information written by Judy Norisgian is relevant towards the topic of Anorexia, and how the media can have tremendous negative influence in terms of women and their body image. Although she did not say that the objectification that the media generates leads straight to Anorexia, she did say that it can cause us to objectify ourselves, which can cause self-esteem and humiliation by believing that our bodies are meant only for the pleasure of others (Norisgian, 2005). In other words, having this belief system can lead one to feel like they are not good enough and must “fix” themselves in order to feel accepted in society by any means necessary. These types of psychological thoughts that can be implanted by media can be the jump-start to a very destructive way of life, solely to accomplish the “ideal body”. “The result is an unpredictable dance between a woman and her environment that yoyo’s between temporary contentment when attention is achieved, to severe depression after it is taken away. Women are then coerced to repeat the cycle by seeking out new forms or approval.” (Berberick, 2010). Stephanie Nicholl Berberick from University of Buffalo argues that the images presented by the media of an “ideal” women is harmful from a sociological perspective. She analyzes the rate at which cosmetic surgeries, eating disorders, and related deaths have increased because of these mediated images. She supports her theory with medical and sociological literature, and interviews that argue the portrayal of women in the media have negative consequences such as physical, cognitive, and societal effects (Berberick, 2010). The media has created an unattainable definition of beauty that women constantly compare themselves to. According to the report that Stephanie refers to, completed by the Nielson Company in 2008, states more than 80% of Americans have computers in their homes and 92% of that population have internet connection, which is a 77% increase from past years (Berberick, 2010). Meaning that the “ideal” body image created by advertisements has reached and will continue to reach more viewers. She illustrates that the major increases in cosmetic enhancement, and eating disorders are caused by this harmful idealism derived from the media. Stephanie discusses in depth the physical effects that the objectification of women in mass media can have with statistics from the American Society of Plastic Surgeons. This medical information consisted of the increase in surgeries such as breast augmentation, lower body lifts, arm lifts, buttock lifts, and breast lifts from 2000 to 2009 (Berberick, 2010). In continuation of her research she found that the National Eating Disorder Association reported ten million women were afflicted with Anorexia or Bulimia Nervosa, which caused death within 20% of that population because it was left untreated (Berberick, 2010). Stephanie believes that there is a direct correlation between the media and women taking drastic dangerous measures to fulfill the “ideal” body image. Stephanie also examines the cognitive effects that are the result of the negativity associated with media and self-image, through a 2006 study by a scientific researcher M. Kurosaki. In this study, women were shown photos of their bodies that were deliberately distorted as fat, these women cognitively processed these images the same way one would process fearful information (Berberick, 2010). This study proved that these women interpreted their body image through emotional responses, which in turn can cause negative mental responses such as depression (Berberick, 2010). Similar to the information produced by Judy Norisgian, Stephanie Nicholl Berberick further discussed the negative effects that can come from the objectification of women through media. They both believe that because of the major deception in the images we see in the media carefully done by tools like airbrushing and cropping, leads women and others down a very destructive road that involves constant self-comparison. However, Stephanie approached this argument through a research-based method and supported her theory with different literature and qualitative interviews. Nonetheless, the message both Judy Norisgian and Stephanie Nicholl Berberick were the same. The beauty standards that the media displays that many women continue to chase after only to find themselves in constant state of dissatisfaction due to the fact that these “standards” are unattainable, leads to the road of self-destruction. 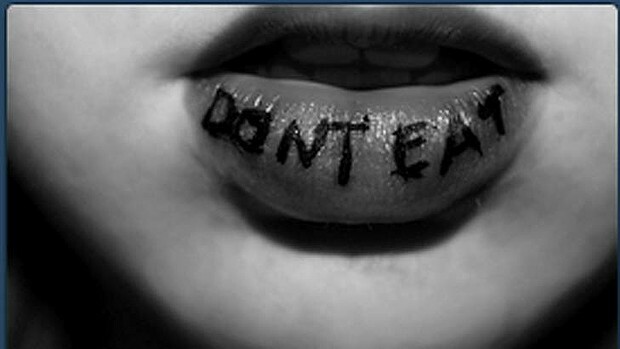 Unfortunately, in many cases, it can lead to eating disorders like Anorexia or Bulimia Nervosa. I believe this analysis produced by Stephanie Nicholl Berberick is a helpful source to prove how the media is in direct correlation to such epidemics like eating disorders. This article written by Benjie Achtenberg is a study that examines 9th grade students’ perceptions of their own body image as they relate to the media, and how the medias portrayal of the ideal male and female body can have negative affects. His goal was to be informative about the importance of the impacts that the media can have on adolescents, specifically ones that were entering high school. Through his three primary methods of data collection: student and teacher survey, a poster/collage presentation done by the students, and a student reflective journal, Benjie Achtenberg reinforces that the media is the single most influential source with regards to body image. His research gives perspective from a ninth grader view, as well as an outside view from the educators in their institution. Benjie Achtenberg believes that the media presents both male and female bodies in unrealistic ways that lead adolescents to believe that those bodies are what is considered normal and should be achieved by all. More often than not, they are achieved by unhealthy decisions such as dieting; the supplementation of diet pills, excessive exercise, and possibly eating disorders (Achtenberg, 2006). In comparison to the other articles by Judy Norisgian and Stephanie Nicholl Berberick, Benjie Achtenberg takes a step further by surveying adolescents, asking them to do a presentation/collage, and to reflect on their own personal experience to prove that the media is the most influential source in regards to body image. Unlike the other articles that mainly focused on females, this study touched on the fact that the media’s affect is not solely associated with females only. While the trend is for females to lose weight, for males it is their desire to develop muscle mass that has become problematic. Although these three authors may approach this phenomena differently, their results and conclusions are all similar. The media’s portrayal of the ideal male and female body is the drive for many adolescents as well as adults to make dangerous choices in terms of their appearance and weight. Reportedly, there is a higher amount of incidents of anorexia nervosa among dancers as compared to the general public, but why is this? A study done in 2000 entitled "Starved to Be a Dancer," concluded that the occurrence anorexia nervosa in the preforming arts is multi-factorial; the environmental pressures of dance sub-cultures and a common underlying psychological profile are responsible for this phenomenon. Takos, Dimitra A. "Starved to be a dancer: Six case studies of anorexia nervosa." ProQuest Information & Learning, 2006. Web. 12 Mar 2014. The dance community is considered one of the most weight conscious subcultures in the preforming arts and sports. Most individuals in all styles of this preforming art, are required to maintain peak physical conditioning while maintaining minimal body mass(Kharlamenko, "The Starving Art.". This is especially the case in ballet. Dancers are often made constantly aware of their physical appearance as there body is considered their instrument. Take the environment of a dance study for example; the dancers are surrounded completely by floor to ceiling mirrors. If they are unhappy with there appearances they must confront it persistently for hours on end. Ballerina's lifestyles share similar parallels with the characteristic traits of most anorexics. They lead a life that is for the most part ruled by; discipline, high self-expectations, competitiveness, perfectionism and compulsiveness (2). To this effect most ballerinas are willing to go beyond what is conventional to maintain the perfect body ideal. Most ballerinas will develop anorexia as a means to survive and get ahead in the ballet subculture. The dancer ideally should be delicate and waif-like , giving the illusion that they are able to move smoothly and lithely across a stage. Female dancers are portrayed as angelic beings who appear weightless and mystical. This thin and waif-like physique enables the unique movements and dance steps in ballet. In order to maintain these qualities, emphasis is placed on the ballerina’s weight, diet, and food intake, which in many cases has a very detrimental effect on the physical and mental health of dancers(8). The three main environmentally specific psychological factors that are explored by the study, and that are commonly associated with anorexia are; low self-esteem, insecure attachment, and distorted body image. Self-Esteem is an attribute that evolves and changes over time, however it is highly influenced by adolescent experiences (29). In regards to the majority of dancers, training begins at a very young age. The strict regimen and critical coaching that goes hand and hand with dance-styles like ballet, can be devastating to the self-esteem of young dancers; increasing the likelihood that this low self-esteem will stick with them for the span of their adolescent and young adult years.This study "suggests the possibility of age and length of time in training as potential influences to self-esteem and self-concept (Takos, 33)." Generally individuals who lack self-esteem tend to evaluate themselves severely and feel they are incompetent or unworthy. Like pop-culture and the media, dance parallels the ideal that self-esteem and confidence is directly attached with "thinness." Insecure Attachment is the second psychological factor highlighted by the research team. This term stems from John Bowlby's Attachment Theory, which is a critical concept in developmental psychology in which an infant attaches to a person in order to gain a sense of security. This attachment then grows and develops throughout infancy and adolescence. Insecure attachments can lead to behaviors such as withdrawal, depression, and self-hostility. The study found that of the anorexic dancers they interviewed, the majority described negative or ambivalent memories and feelings about their parents, "the anorexic women perceived these figures with less positive affect and had less capacity for emotional investment relative to dancers and controls (Takos,38)." This they theorized, was a main underlying psychological factors that aided in the onset of their anorexia. Anorexic behaviours are considered an outlet for self-soothing and self-assurance in these cases. Distorted Body Image is a concepts that describes the ideas that we have about how our body looks, ideas that are then internalized. It is often the case that this body image is somehow distorted or skewed in our mind, giving us a false or negative mental representation of our body. This study links the occurrence of body image disturbance to social interactions and the media. In the instance of dance, social interactions is the more influential of the two. Teachers, parents, and other dancers often are highly critical of body shape and frequently remind individuals to maintain a perfect, almost impossible, physique. "Qualities such as long lean muscles, shapely arms, the absence of breasts, and a waif-like silhouette are characteristics that distinguish a ballet dancer from any other artist or athlete (Takos,40-41)." It is very common for professional ballet companies to attach weight clauses in their contracts, to control and regulate the weight of their dancers. The stress that comes with this constant pressure of observation generates extreme paranoia that it most cases leads to distorted body image and eventually disordered eating. The Starving Art : The Prevalence of Disordered Eating and Eating Disorders Among Dancers. Kharlemenko, Alena. "The Starving Art: The Prevelace of Disordered Eating and Eating Disorders Among Dancers." Western Michigan University; 2012. Documentary. This documentary is a very informative case-study which explores the phenomena of eating disorders in dance communities. The film documents the perspectives and experiences of several dance majors and university health professionals at West Michigan University.In this short film the student dancers were asked if they thought that anorexia was a concerning issue among their dance communities, to which they all answered with a confident yes. They share their stories of the battle they have either personally fought or had to help friends and family fight. When asked what effects they thought that the dance community had on body image they replied. "We are always told that we need to be in shape… basically to be like perfect." "I'm constantly looking at myself in the mirror and looking at my stomach. If I'm bloated I feel like I'm not gonna dance very well that day." "If you're fatter than you want to be, then the lines (of your body) won't look aesthetically pleasing to the audience." The professionals that they interviewed in the course of this documentary expressed their concern that the age of individuals with anorexia are getting younger, especially amongst dancers. "Dancing in particular… (puts) a large emphasis on appearance. Not too suprising really, but especially with young dancers, I'm talking about early teens and even pre-teens; if they are being taught and coached by people who emphasize thiness, they are going to try to be thin. "- Dr. Vinnay Reddy, Proffesor of Pediatrics, WMU." Dr. Gretchen Kauth, a dietician, goes on to share her concerns about how the cases of eating disorder that they come across are from a younger and younger age group. She is alarmed to see kids as young as their elementary school years in critical conditions due to anorexia. Young individuals are so impressionable to the people around them and the things they see. For the professionals in the film, none are suprised with the current prevalence of disordered eating. The overall theme of this documentary can be summed up in one quote that one of the female dance students said about eating disorders in the dance community, "It just feels kind of normal..."
McGee-Vincent, Pearl A.. John F. Kennedy University, Pro-Quest, UMI Dissertations Publishing, 2011. 3516503. This article shows how pro-anorexia (pro-ana) promote eating disordered behaviour and are a cause for concern by known consequences of eating disorders. These blogs are primarily driven by those individuals who have some form of eating disorder. These individuals do not see the disorder as a negative asset but rather something to embrace. A reason why many of the respondents engage in the socio-technical blog is to gain social and emotional support. However, these bloggers are not seeking treatment. The individuals use this social-support system as a form of an asylum which allows them to freely communicate their view on anorexia as a way of life rather than a disorder. Many bloggers show some form of disgust towards food or their own self-image. The study displayed examples of the type of content disclosed by a few anonymous pro-ana bloggers. Tong, S. T., Heinemann-Lafave, D., Jeon, J., Kolodziej-Smith, R., & Warshay, N. (2013). The Use of Pro-Ana Blogs for Online Social Support. Eating Disorders, 21(5), 408-422. This scholarly article outlines results found in a study conducted by researchers who explored pro-ana websites. The first aim was to determine the type of information the bloggers disclosed about themselves. It turns out that majority of the respondents were female, almost 82%. Many of the bloggers disclosed their current weight, age and height along with their goal weight or in other words the weight they wish to reach through extreme dieting. In terms of physical locations of the bloggers, it turns out that around 4.2% percent of the individuals reside in Canada as opposed to the United States, where almost 25% of the bloggers disclosed as their current location. The second goal of the study was to examine the type of content disclosed on the blog. Majority of the content presented was displayed as a visual. Other content was displayed as quotations, poetry and music. The last goal of the study was to determine the social support messages pertained to the bloggers. Many support categories were discussed. The first being information support which was aimed towards those who wanted factual information on some kind of issue or concern. The second social support was geared towards ones self-esteem. This was presented in a way where compliments were expressed to validate ones esteem in terms of physical appearance as well as recognizing one’s ability to reach a certain goal. Emotional support included encouragement, sympathy and the interpretation of a bloggers behaviour by means of relationships and real life conditions. Many of the bloggers found that emotional support ties into incorporating a combination of social supports which was commenced to be most effective among the bloggers. Rather than a practical article that outlines brief descriptions of the blog, this text outlines a well-rounded viewpoint of how the unique socio-technical features of blogs assist in social-support among the bloggers. This article explains how the individuals who engage in socio-technical blog are those who try to cope with the stigma that is socially disapproved. They see blogging as a whole different reality, as a mean of self expression. The participants in the blog find that blogging has benefits of finding social support. These bloggers tend to disregard their eating disorder as a negative attribute and instead glamorize the illness. As a negative consequence, the participants in the blog fear that eating disorder would be revealed if the blog was exposed along with the concern that the blog encourages the eating disorder. Thus, blogging provides a way to both lighten up and trigger anxiety about living with the disapproved stigmatized illness. The researchers clearly and concisely emphasize brief explanations on more or less all of what is required to know about the pro-ana blogs. The data collected by the researchers is exceedingly reliable as it highlights functional research on exploring the personal experience of pro-ana bloggers. The study clearly outlines the benefits and drawbacks about the stigmatized disapproved illness. 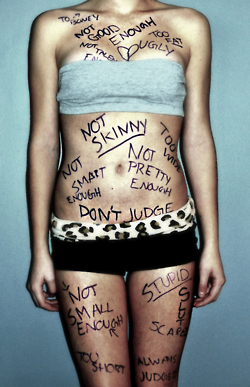 In conclusion, eating disorders must be taken seriously. Unintentionally, a person may fall into the trap of an eating disorder. They would start by feeling as though they are taking control of their weight and “extreme dieting” is just a way of getting their life back on track. However, this is false as the individual becomes trapped in a vicious cycle that would be very difficult to get out of. Once it is established that an individual is suffering from anorexia nervosa, it can seriously affect a person’s life. It can even go to the extreme of fatality. There are various treatments that exist that offer a good chance of recovery. Overcoming an eating disorder is not easy, as it requires large amounts of courage. Along with the support of loved ones which can allow the victim to overcome this eating disorder. The way that women are perceived through ads and media should stop at once and needs a different campaign approach. Such ads need to emphasize and recognize that women come in all shapes and sizes. Women should NOT feel obligated to look a certain way in order to feel beautiful.